Miguel Lopez, Lockheed Martin engineer and Central High alum, helps students with STEM project. STRATFORD, Conn., March 6, 2019 /3BL Media/ – Lockheed Martin and Discovery Education, the leading provider of digital curriculum resources, digital content and professional development for K-12 classrooms, surprised students today at Central High School in Bridgeport with a top-secret STEM mission, to create a prototype aircraft out of clay that could serve in a humanitarian aid mission. Lockheed Martin engineers, who are also Central High alum, were on hand to help students complete the challenge. Lt. Governor Susan Bysiewicz also attended the event. Lockheed Martin engineers gifted the school with a 3D printer and plan to bring the Advanced Technology Engineering team back to assist with training on how to use it. The project, called Design for Service, is part of a larger program called Generation Beyond. 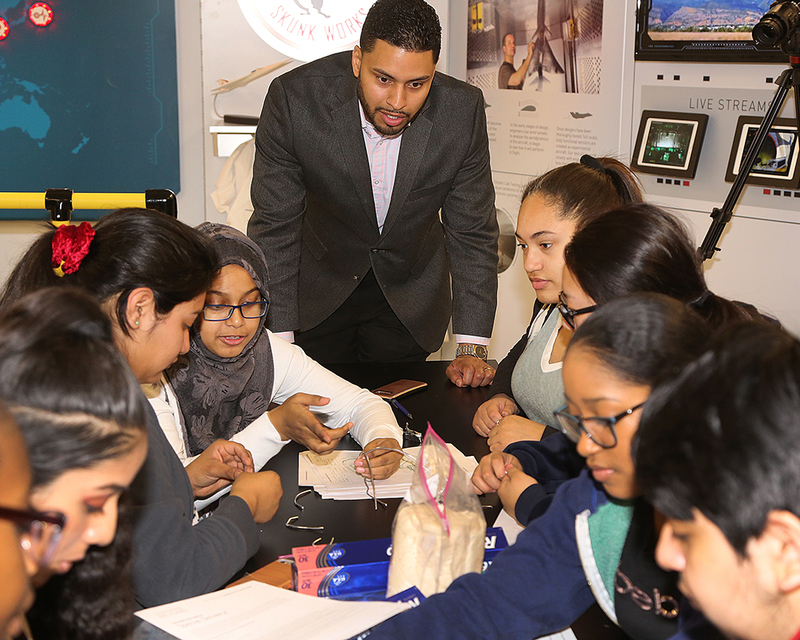 Lockheed Martin launched Generation Beyond in 2016 in partnership with Discovery Education, with the hope of inspiring high school students to become the next generation of scientists and engineers by demonstrating how exciting a STEM career can be. This spring, Generation Beyond will take over high schools in four additional cities nationwide. Lockheed Martin is dedicated to advancing interest in STEM careers. Recently, we announced a new STEM Scholarship program for high school and college undergraduate students planning to major in engineering and computer science. The STEM Scholarship program will award a $10,000 annual scholarship to 200 recipients – renewable each year. About Lockheed Martin Headquartered in Bethesda, Maryland, Lockheed Martin is a global security and aerospace company that employs approximately 105,000 people worldwide and is principally engaged in the research, design, development, manufacture, integration and sustainment of advanced technology systems, products and services.